Coming from Tyneside, there’s little avoiding either Mike Ashley or his continually expanding Sports Direct chain. 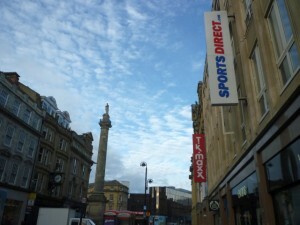 Newcastle city centre has two large Sports Direct stores – a former Lillywhites in Eldon Square, and a former JJB in Monument Mall – while Ashley’s ownership of Newcastle United Football Club ensures that he is constantly in the news. In turn, retail and football come together in the popularly named ‘SportsDirect.com @ St. James’ Park Stadium’, which I can see right now from my office window. One of the joys of overseas holidays is the opportunity to escape the familiar and enjoy some different scenery. 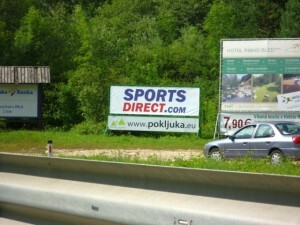 So, arriving in Bled, in Slovenia, last month, imagine my surprise (and, I admit, an element of dismay) when one of the first things I saw was a Sports Direct billboard at the side of the main road into the resort. Though I wasn’t aware beforehand, it turns out that Sports Direct has had a physical store presence in Slovenia since the mid-2000s, wholly owned since 2007, and currently comprising 14 stores from Koper on the coast to Murska Sobota in the Prekmurje region bordering Hungary. Together with stores in Belgium, Luxembourg and the Netherlands, these now make up a wholly-owned estate of more than sixty Sports Direct stores outside the UK, alongside others that are run either as joint ventures or through license agreements. The company also ships to more than sixty countries via its online store at SportsDirect.com. 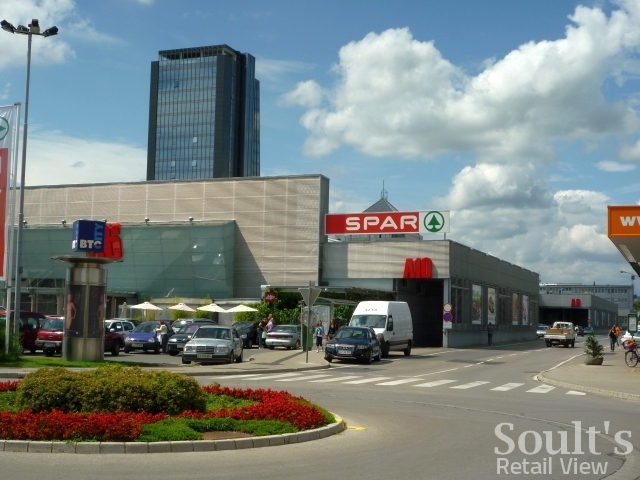 I spotted one of the Slovenian stores in the sprawling Hala A mall that forms part of the vast BTC City out-of-town shopping complex, and it certainly appeared to be busy. The store itself, as you might expect, looks much the same as those in the UK, with its garish signage and chaotic interior. Still, who’s to gripe at the formula when it’s consistently delivered impressive pre-tax profits for the business, including £135.5m (from sales of £1.6 bn) in the most recent year to 24 April? Giving away Joey Barton on a free transfer may not make Mike Ashley flavour of the month on Tyneside, but it’s hard to argue with Sports Direct’s recent record of success – even if it does involve giving me a surprise on holiday. So still closING, rather than closED? Are you sure the one in Monument Mall is still there? Last time I was in, a couple of months back, it had big ‘closing down’ signs. Good point! 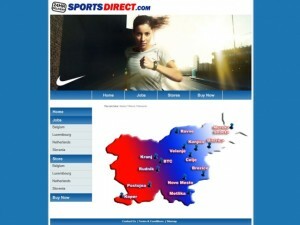 I did think that myself – but it *is* still listed on the Sports Direct website’s store finder. I’d better pop in and check! Soult's Retail View » Does JJB Sports have a future?